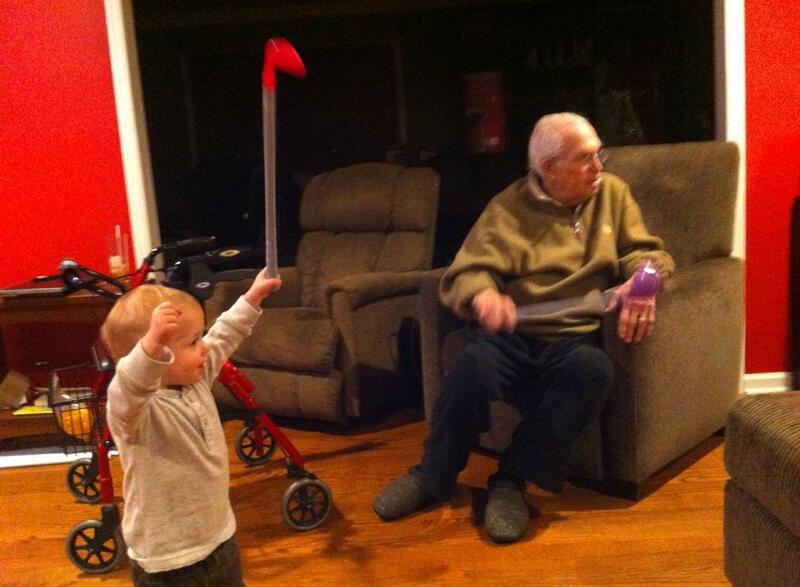 Phil Bouwmans plays along as his great-grandson and namesake Philip Varrial celebrates a great golf shot. My brain says, when your 84 year old grandfather dies, don’t cry. Don’t dwell.My brain says, celebrate his life, his accomplishments, his contributions. It says celebrate the life of a great man who left so many impressions along the way. My heart and my brain don’t always agree. My heart hurts. It really aches because we have lost a man who personifies personality. He leaves us physically but he lives on. Through his jokes, through the lessons he taught, through the way he loved. When I got the phone call Wednesday — the call I had been preparing myself for over the past 20 years — I expected to cry my eyes out. But all I could think was, this was his time. He belongs with God now. He belongs with the loved ones who left us before, especially those who left too soon. Now, obviously they were talking about the patriarch of the Duck Dynasty family. But I couldn’t help but smile. It seemed like a fitting parallel. This wildly successful hunter spoke his mind without any regard for how anyone would react. Sound familiar? Phil Bouwmans, also known to the people In this room as Daddy, Deacon Phil, Grandpa Phil, Uncle Phil and even the Soulman, never, ever, EVER hesitated to say what he felt. No filter, they call it. Philip Bouwmans was a highly touted high school football star at New Dorp High School on Staten Island. 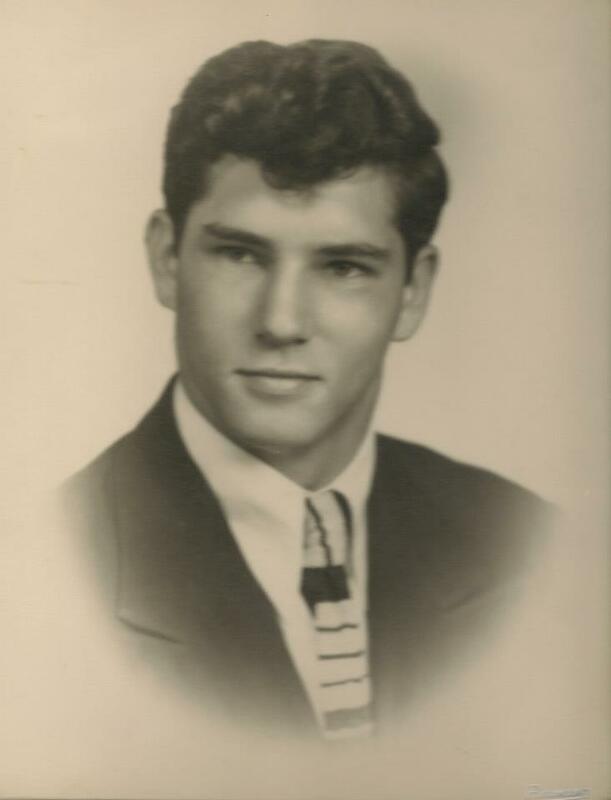 But as someone who has been told many times “you’re your grandfather’s grandson” — as high a compliment as I’ve gotten, by the way — there was more to his running commentary on life. He loved to make people laugh. But I think he as equally loved to make people squirm. A goofy joke, an off-color comment, even a sweet word. He could wield them all just as powerfully. In fact, Grandpa’s routine wasn’t always a routine. And God bless his wife Ginny, who was the second half of his comedy show for the past six decades. She has been the punchline, the straight man and the audience. I said i wouldn’t mention it but last weekend my wife Angi might have overheard grandpa’s last dirty joke, told to no one but Grandma. That was Grandpa’s way, trying to make someone laugh. While putting together this eulogy I realized just how loveable Grandpa must have been. He was epically impatient. He liked when things were in the place he expected to find them. If he was upset, he’d let you know it. Whether it was a radical haircut, a few extra pounds, the existence of a tattoo – which he reminded of just last week. If he liked something — osso bucco, an accomplisment at school, the hem line of a young lady’s skirt — he wasn’t afraid of what people might think. And why should he care? He was an accomplished and beloved leader within not just our family but within the church. I have read many of his homilies and they are brilliant, they draw on human experience and present very relevant lessons from the Bible. He taught how to love and care about those around you. His life was long and full and he enriched those around him. For this reason I will cry for what we have lost. I will cry knowing that my son Philip will never fully know the man he was named for. But I will dry my tears and celebrate. I’ll celebrate his filter-free take on life. His sheer joy when surrounded by young people, particularly attractive ones. His ability to say so much with so few words. I’ll celebrate the 30 plus years we gained after the first heart attack failed to take him. Or the numerous other times we sat at his bedside and prayed. Each time those prayers were answered. This time, I think we all knew it was different. 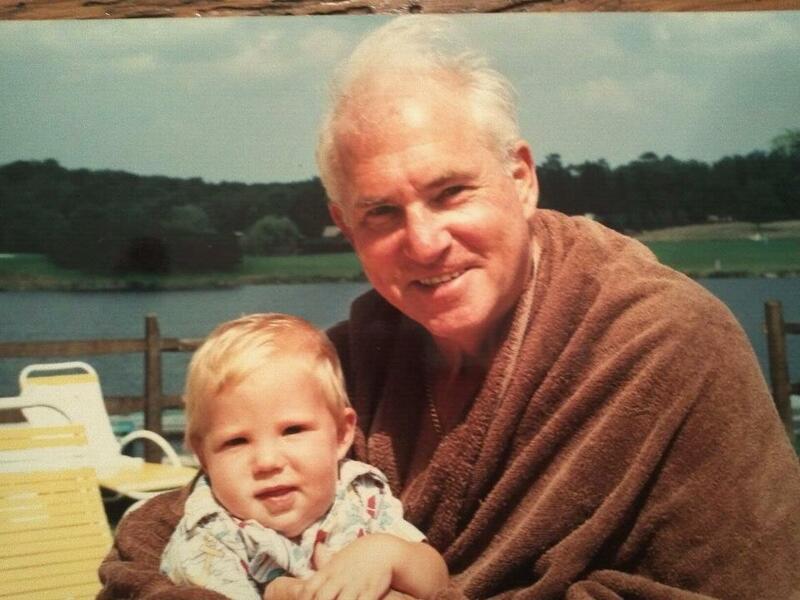 Phil Bouwmans and grandson Drew Henrickson, circa 1985 at the Lords Valley Country Club, a family favorite. Grandpa’s legacy goes beyond the jokes. He will be remembered as hard working, able to make a very good life out of humble beginnings. For a football player so good that they asked him to spend a fifth year in high school to play, he did quite well for himself. He will be remembered for his generosity, the hours upon hours he devoted to the church and to comforting the sick as a hospital chaplain. He will be remembered as bravely honest. He was as loving a man as you will ever know. I love you grandpa. We will miss you. Thank you for everything you gave us and please give us the strength to carry on in your name. God bless.